At West Ranch High School, almost every classroom looks the same. Except for the science classrooms, which have desks that seat three, most of the classrooms are set up the same way — 36 individual desks in rows. It is boring; creating a restrictive environment rather than one fit for learning. When you step into room 411, this feeling of confinement goes away. Mrs. Povletich has designed and executed a classroom that feels like home, making students feel more comfortable and able to learn. The soft bean bag chairs in the center of the room draw the attention of students, who sit in these seats with their classwork on their laps. 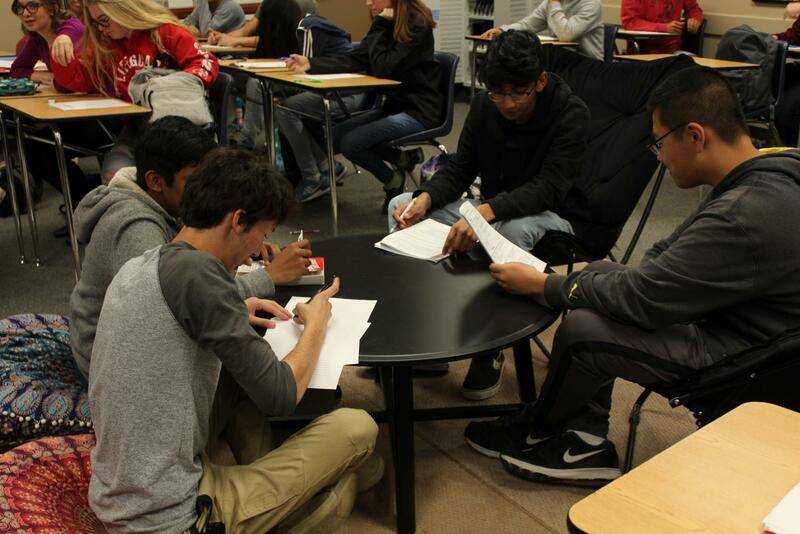 The other desks — the same ones that are in every other classroom at West Ranch — suddenly seem welcoming when you discover that the seating arrangement is not assigned. You may sit wherever you would like, whenever you like, as long as you aren’t too disruptive to the teaching of AP World History or AP Psychology. Being able to sit wherever you want definitely relieves a lot of stress, and the option of sitting in comfortable seats rather than hard plastic chairs eliminates a lot of tension for students. The classroom makes students feel at ease, rather than a stressful place to sit for an hour and a half to take tests and learn the curriculum. The boring and uniform environment of a regular classroom can allow students’ minds to wander, for there is nothing to grab their attention. In Mrs. Povletich’s room, students are able to sit with their friends in a comfortable environment. This makes students focus more, which may not be expected. 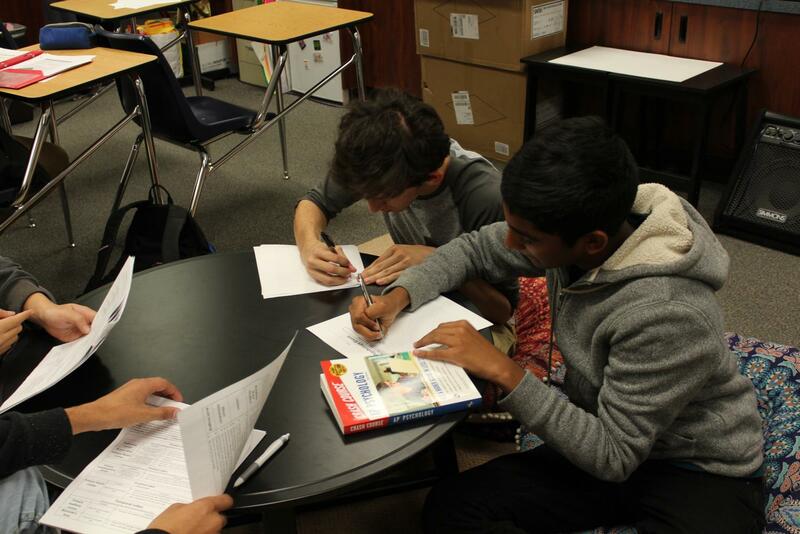 However, when students are able to work collaboratively, it has been proven that they retain more material. According to National Learning Laboratories, students only retain about 5 percent of material they are taught during lectures. When learning in a discussion group, students retain about 50 percent of information. Therefore, when students are given the freedom to move around and sit with their peers, they actually learn better than in a traditional classroom setting. Flexible seating mixed with comfortable chairs and pillows makes for an extremely enjoyable classroom experience for all students. It increases student focus, creates a healthier environment, and allows students to work together easily. This is because, according to Professor Kelly Bielefeld, “Humans are more motivated to complete a task when they have a choice (i.e. control) over the task.” Choosing a place to sit is just another thing students can control in order to increase motivation. Hopefully soon, every classroom will be as comfortable and functional as Mrs. Povletich’s in room 411.